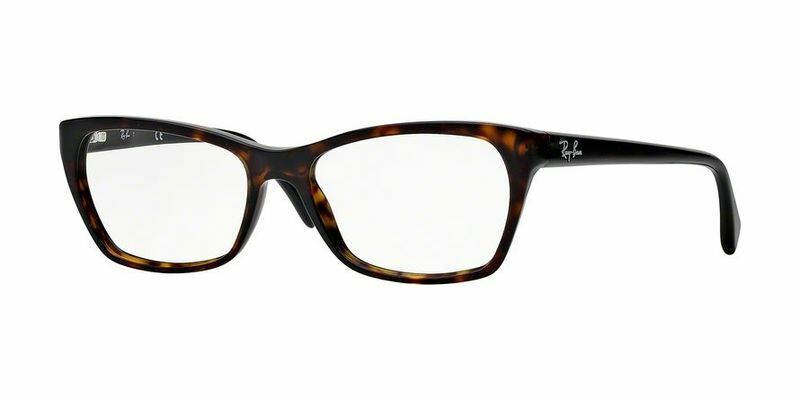 Lengthen your nose with these high-bridged Ray Ban RX5298 glasses, creating more of a balance to your face. These plastic eyeglasses have been created with a careful blend of plastics, ensuring the highest quality lightweight eyewear for you. The use of a number of plastics isn't accidental, and the final result is a unique pair of plastic eyeglasses that will help carve out your own individual style. These full rim Ray Ban RX5298 eyeglasses are perfect for the college student. Transform your look and go from geek to hipster in a matter of seconds depending on where you are, whom you're with, and what you're wearing. Fly away and be the queen of glamor with these vintage inspired butterfly frames that will bring balance to longer faces and accentuate petite details. This is one feminine eyewear style that's never going to go out of fashion. Be cool and bang on trend with these hipster-inspired trendy glasses. The average person has no idea what cool really is, but you're going to ooze style with this trendy eyewear style. For those of you, who have triangular-shaped faces, you should opt for top-heavy Ray Ban RX5298 glasses with high temples such as these to bring about more of a balance. These glasses are very comfortable and light. They're modern without being too trendy.